This family run business has grown to become one of the bigger Namibian-owned car rental companies. 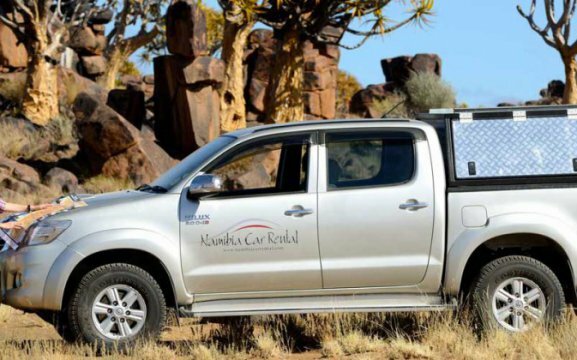 Namibia Car Rental caters for both the leisure and commercial market. 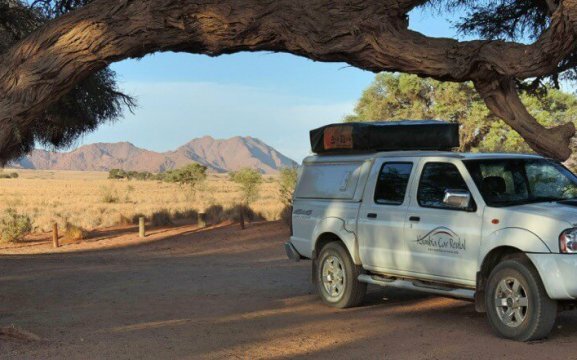 Namibia Car Rental can provide you with 4×4 pick-ups, these are Namibia Car Rental’s speciality. 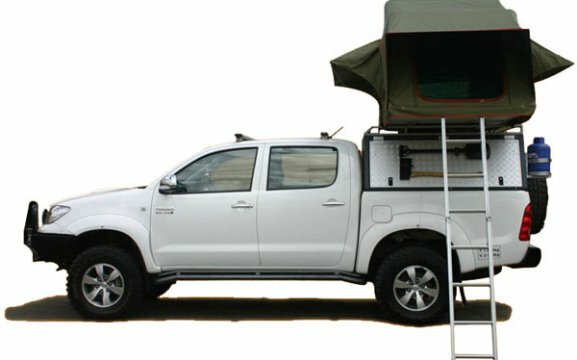 We can supply your 4×4 in standard format or fully equipped with camping gear to make your stay in the bush both memorable and comfortable. We have compact sedans – for the business traveller or for those travelling light and sticking to main routes. We also have SUVs (4×4 or 4×2) – for the serious off-roader or for those who prefer to travel in comfort. And Minibuses / Buses (either 8, 14 or 23 seaters) – for groups or those who need a bit more space. 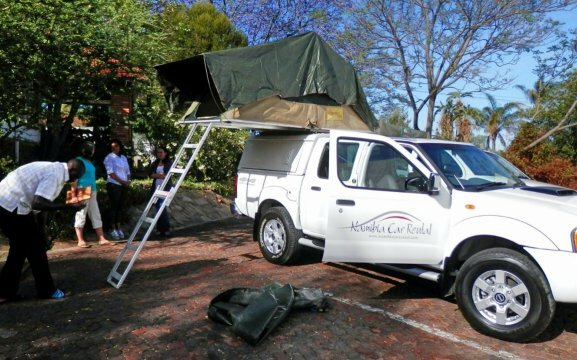 We offer extra camping equipment such as: Rooftop tents, camping table, sleeping bags, camping chairs, water canister, braai facilities, electrical fridge, tow rope, basic kitchen utilities, ground tents, extra petrol canister, baby seat, compressor and a GPS navigation system.